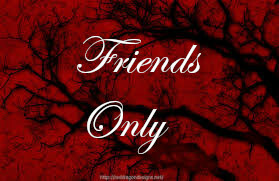 I'm going to making my blog and pretty much everything on my profile "Friends Only" so if you think you deserve to see what I'm posting or whatever, message me and I will make my judgment. So basically... If I don't know you, f*** off, unless you can find a way to befriend me.